Pap smears will soon become a thing of the past in the fight against cervical cancer. From December 1, the Australian Government will replace Pap smears with the more effective Cervical Screening Tests. A Pap smear looks for abnormal cell changes on the cervix that may go on to develop cancer, while the new test can actually detect the cause of the abnormal cells: the human papillomavirus (HPV). This means the Cervical Cancer Test will put women one step ahead in cervical cancer detection. With the new test, most women will also only need to get checked every five years, instead of every two years with Pap smears, making it a double-win for women. Sharon Houwen, Women’s Health Nurse at Desert Blue Connect said, “It is a big win for women, it’s a better test and we have to have it less often”. “There are other changes with the renewal including the screening start date which has increased from 18 years to 25 years, so young women don’t need to come in from such a young age. However, women of any age who have symptoms such as unusual bleeding, discharge or pain should come and see a health professional immediately and be checked out”, said Ms. Houwen. 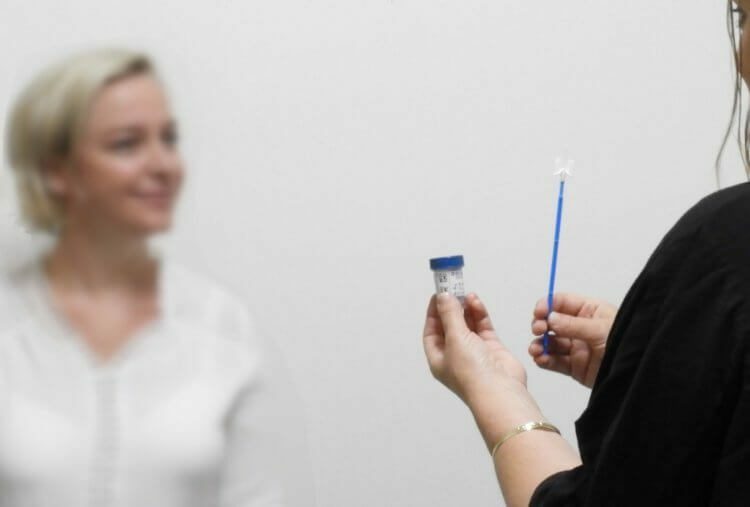 “Another thing to note is that women who have been HPV vaccinated still require cervical screening as the HPV vaccine does not protect against all types of HPV that cause cervical cancer”.